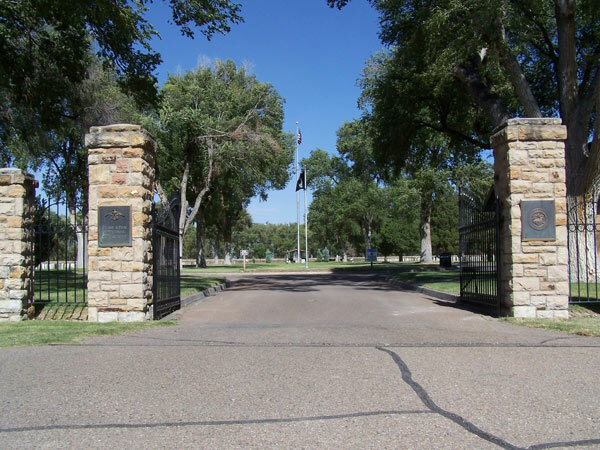 Fort Lyon National Cemetery is nationally significant for its association with the development of military and veterans cemeteries during the late nineteenth and early twentieth-centuries by the federal government. It is also significant for its association with the history of the U.S. Department of Veterans Affairs. Fort Lyon has a history that dates back to the Civil War, the Colorado gold rush, and conflicts between Euro-American settlers and Native Americans. However the post cemetery closed. The U.S. Navy created the antecedent of the national cemetery in 1906 as part of its adaptation of the military post into a tuberculosis hospital complex. The cemetery opened in 1907. Its history was then intertwined with Colorado as a place renowned for the treatment of tubercular patients. Fort Lyon National Cemetery serves as a memorial to the sacrifices of the U.S. military, and is a reflection of the expanded burial and memorial mission established during the Civil War with the earliest national cemeteries.